The master programme in Information Systems will give advanced and broad knowledge of the planning, design, use and leadership of information systems in organisations and businesses. It will also prepare for research studies within informatics. The aim is to give each student the competence needed to describe and analyse businesses, organisations and their need for developing information systems. Examples of themes of the programme includes: IS/IT for Organizing, Communicating and Coordinating; Ontologies and Epistemologies: Methodologies, Methods and Theories; Big Data in Organizations, Business, and Society. In order to be able to work in these fields, we consider it important to have the ability to critically and systematically integrate knowledge and to analyse and handle complex questions and issues. It is also important to develop one’s ability to critically, independently and in a creative way identify and express questions. After the education you could work with projects with the purpose to plan, design and introduce information systems intended to development businesses or organizations. The following courses are included in the two-year master programme in Information Systems. The Statement of Purpose is one of the most important parts of your application – it is your opportunity to "sell yourself". We will consider carefully the answers to the following questions. Submit this document together with your other documents when you make your application. Sharzad Darvishi from Iran is a student at the Master programme in Information Systems. 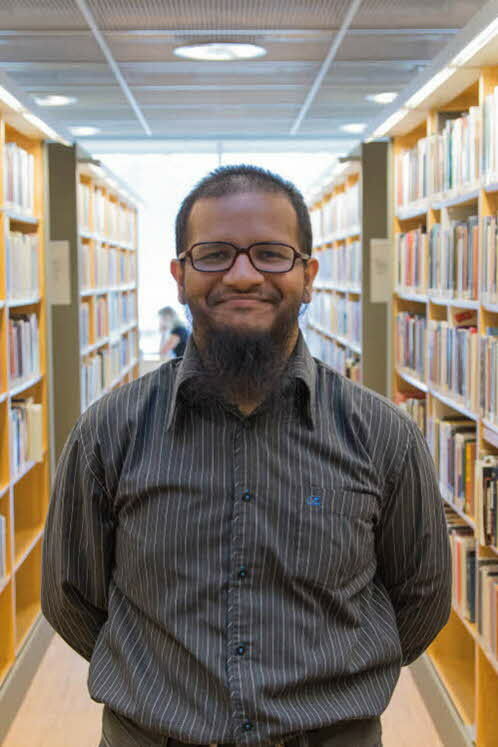 "Information Systems is a rich mixture of IT and business"
M. Redwan Hasan from Bangladesh is a student at the Master programme in Information Systems. "It is a rich mixture of IT and business, where information plays a central role. The courses offered cover a variety of relevant topics and prepares us well for our future professional lives." Why did you choose to study at Linnaeus University? "This was my first choice when choosing among programmes in Sweden. The primary reason was the structure of the programme, which is quite diverse and covers many areas I'm interested in. Secondly, I heard Växjö is a small, beautiful city with a rich student life and lots of things to do. Personally, I prefer smaller cities to larger ones." "A beautiful country with beautiful people. Swedes are somewhat reserved initially, but very friendly once you get to know them." "I am an online gaming enthusiast. In my free time, I usually play online with my friends who are in other parts of the world. This gives me a chance to have some fun while catching up with them. 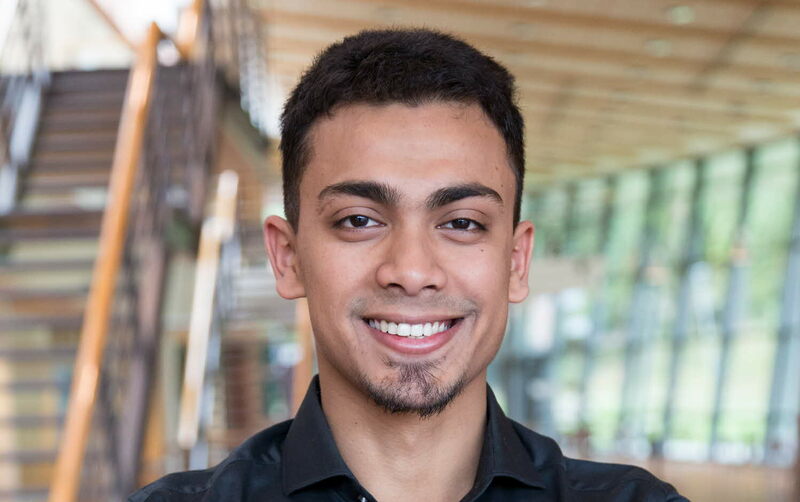 Apart from that, I have been learning Swedish through SFI (Swedish For Immigrants) for the past one year, and during weekends I like to hang out with my campus friends." "To work here in Sweden. I would like to start off with a PhD, which would allow me to try and face different challenges in a dynamic work life. After my PhD, I would be confident to continue to build on my passion towards a career within information systems." "As a student at Linnaeus University, you can have a very balanced social life during your studies. You will have time to do the things you love to do. I think that's how the Swedish education system is designed. It's all about learning, growing and having fun at the same time!" 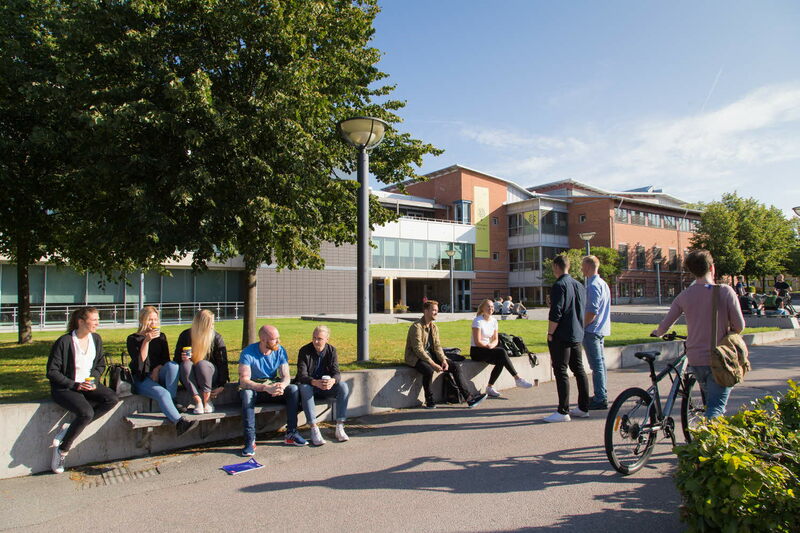 You can choose to study this programme on campus or as a distance education.The distance education at Linnaeus University in the Department of Informatics provides distance students with almost the same opportunities as those who study on campus. Consequently, it means that the distance students will be able to follow the lectures in real time together with the campus students. However, it is important to keep in mind that most distance education includes a number of compulsory digital lectures and seminars during the weekdays. In addition, the lectures, seminars and other mandatory parts of the course are given during the weekdays and working hours, i.e. 8.00 – 17.00 GMT + 1 time zone. Moreover, the common denominator of a distance student in the Department of Informatics is that the lectures are streamed in real-time on the web. In addition, the students communicate with the teachers and fellow students using an e-learning platform. The e-learning platform supports the teaching and learning process including, for instance, discussion forums where the students can ask questions related to the course and its topic, discuss group work, and have video meetings with the support of a webcam and headset, etc.